Below is one of Meier’s Ring Nebula pictures (source: Und sie fliegen doch!, 1991) which Meier allegedly photographed during his space journey. This the only Ring Nebula picture in the FIGU literature but according to Kal K. Korff’s 1995 book ‘Spaceships of the Pleiades‘ there are or were (at least) 4 Ring Nebula pictures. Furthermore, below picture seems to have been cropped. For a complete picture (black and white version), see Fig. 106 on pg. 266 of ‘Spaceships of the Pleiades’. Von Keviczky and Korff also assert that Meier claims to have taken this photo in (the center of) the DAL universe. It is not clear where this assertion is based on but according to CR 31, Meier indeed visited the DAL universe which is parallel to our universe called as DERN. According to the same contact report, Meier photographed the Ring Nebula before he makes his journey into the parallel DAL universe. As far as we know, there never was any mention about photographing the Eye of God in the “center” of this parallel DAL universe. Perhaps this misunderstanding arose from only considering the captions on the photos and not reading the contact reports which provide the alleged history behind the Ring Nebula and the reason for the Plejaren to call it ‘God’s Eye’ or the ‘Eye of God’ (German: ‘Das Auge Gottes’). It seems James Deardorff essentially supports Korff’s analysis which indicated that Meier’s picture is a distorted picture of the Ring Nebula in the constellation of Lyra, as also has been indicated by the astronomer Tom Gates. Meier/FIGU never claimed the picture was anything but a picture of the Ring Nebula, contrary to what Col. Colman S. von Keviczky and Kal Korff assumed. 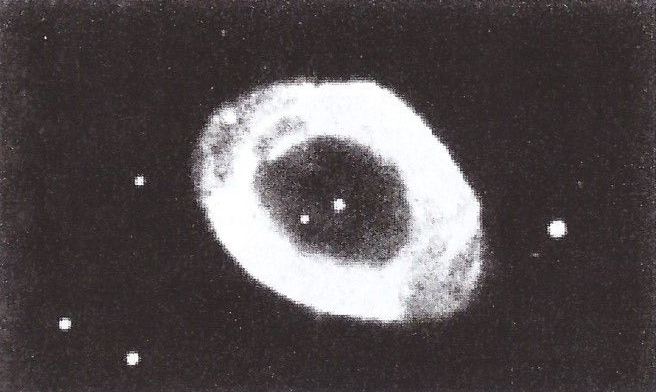 The copy of Meier’s photo presented by ICUFON is a very poor copy, because the ball shaped object in the center isn’t visible, which gives the nebula the appearance of an eye and “considerably” distinguishes Meier’s picture from Earth based astronomy pictures. According to Semjase’s information the Ring Nebula was created artificially through a deliberate destruction by a barbaric and power hungry JHWH. Therefore it is completely absurd to compare the Ring Nebula, which is called ‘Eye of God’ by the Plejaren, to the almighty power of Creation of the universe (the 2012 edition of USFD adds: “or relocate it to the DAL-universe”). Regarding Point 1 and 3, it is true that nowhere in the FIGU material has it been claimed as literally a picture of the eye of God or Creator. 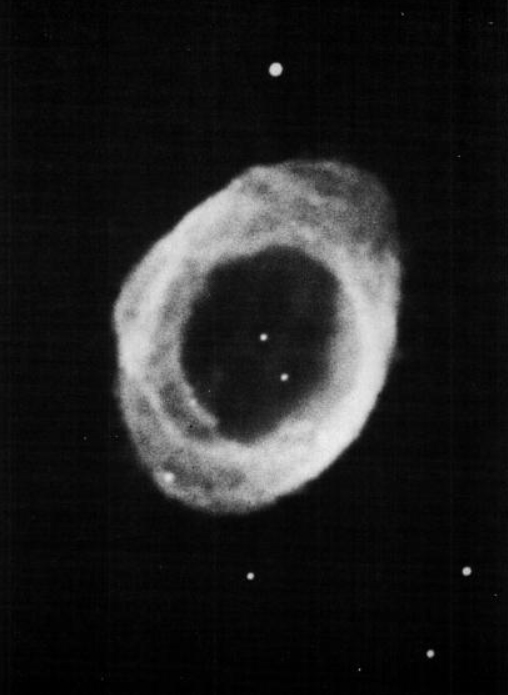 It was only described (in CR 30 and CR 31) that Meier was given the opportunity to take photographs of the Ring Nebula (from inside the mother ship of the Plejaren called the Great Spacer). As mentioned earlier this erroneous assumption by Colman S. von Keziczky and Kal Korff was already addressed by Wendelle Stevens. Regarding Point 2, Guido seems to make the claim that Meier’s picture, unlike the astronomical pictures taken by scientists and astronomers using large telescopes, has a ‘ball’-shaped object inside the Ring Nebula which gives the appearance of a giant eye gazing out into space. This according to Guido differentiates the Meier’s photograph “considerably” from the astronomical observatory pictures. However, astronomical pictures also contain this ‘ball’ shape which actually is a central white dwarf or planetary nebula nucleus (PNN) of 15.75 V visual magnitude, whose mass is approximately 1.2 M☉ (solar masses). 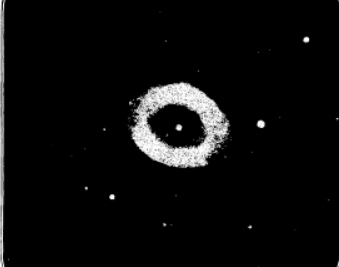 For example see the following astronomical pictures* of M57, taken decades before Meier allegedly took his pictures in July 1975, published in the science paper ‘The Ring Nebula in Lyra’ (1904), The Popular Science Monthly (pg. 230, Sep. 1915) and in Burnham’s Celestial Handbook (pg. 1168, 1966/1978). In the English translations from 2001 and 2004 editions of ‘Und sie fliegen doch’ there is a citation (which is absent in the German editions of 1991 and 2012) which says: “Billy was teasing“. It is curious Korff didn’t figure that out, since it seems rather obvious. It clearly mentions the Ring Nebula in the Lyra constellation, so it’s highly strange this obvious misunderstanding is still not resolved. Apparently he was also still not aware about the reasons given by the Plejaren/Meier why they call it the ‘Eye of God’. Note: The astronomy picture which Korff referred to as Figure 105 seems to be a cropped version since a star that is supposed to match the right star in the final Figure 107 is out of the frame. In the article titled ‘The false allegations and intrigues of Kal K. Korff’ published in FIGU Bulletin 14 in February 1998, FIGU core group member and director of Semjase Silver Star Center (SSSC), Christian Frehner addresses Korff’s claims taken from his 1995 book, including his criticism on the Ring Nebula pictures. Here too, only Korff’s erroneous assumption that Meier claims to have literally photographed the ‘Eye of God’ is rebutted. However, Frehner ignores the main point of criticism that Meier’s picture (even though it’s of poor quality) matches to those of Earth based astronomy pictures. 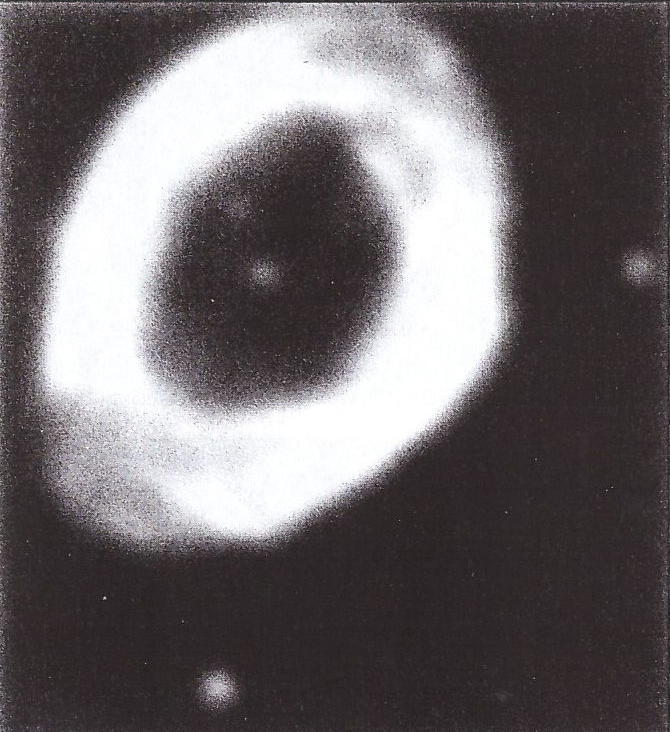 But since Korff seems to have wrongly assumed that Meier claimed this picture was literally of ‘God’s Eye’, he apparently didn’t consider Meier’s actual claim that it was a picture of the Ring Nebula taken from some position in space relatively close to it (although no specific data on the relative position were given in the contact reports), so let’s consider that possibility here. If Meier really took a picture from the Ring Nebula from a different position than from our Earth/Solar System, one would expect differences between his picture and Earth based astronomy pictures regarding the shape and appearance of the nebula and the back- and fore-ground stars. Although Meier’s picture is of very poor quality and out of focus, there are 4 blurry stars visible in the picture, two are in or near the center of the Nebula, and two are outside the Nebula. Do they match the stars in Earth based astronomy pictures? As a matter of fact they do, as can be clearly seen in the side to side comparison picture below. Also see this animation for a better comparison. This clearly indicates that Meier’s picture is nothing more than a poor distorted reproduction of an Earth based astronomy picture. Since the Ring Nebula in Lyra has been recorded since 1779, the year of its discovery, there were already abundant sources in 1975 from which Meier’s picture could have been taken. According to a statement by Wendelle Stevens on these space pictures on pg. 338 of Message from the Pleiades, Vol. 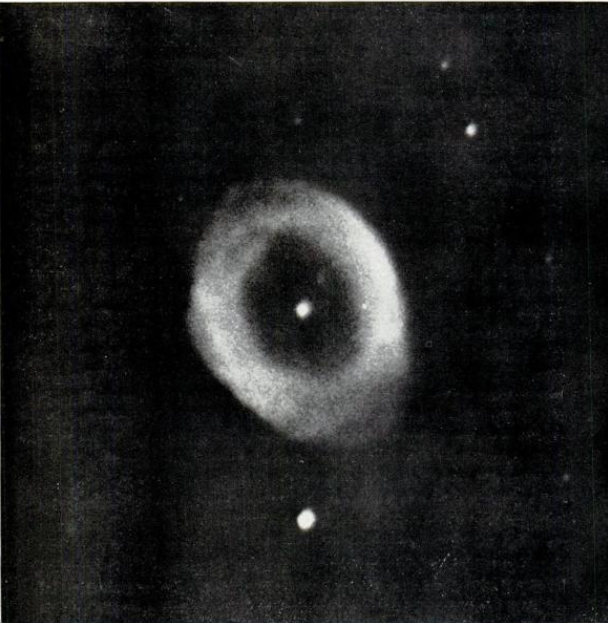 1, the Ring Nebula picture could perhaps be an observatory picture used by Meier/FIGU in order to illustrate to their visitors what Meier supposedly saw and photographed since his original photographs were allegedly lost, damaged or stolen. Point 1 has already been discussed. Regarding point 2, there is no such information pertaining to the manipulation of pictures being discussed in CR 68. Besides this, “God’s Eye” picture has been defended by the co-founder and Core Group member of FIGU as a genuine one in all of his Und sie fliegen doch! editions published in 1991, 2001, 2004 and 2012. Wendelle didn’t cite the source of this information which states that Meier was forced to resort to collecting Earth based astronomy pictures to illustrate to people what he saw and photographed during his space journey. We weren’t able to find any such information published by Meier/FIGU. Although Wendelle didn’t refer to any particular space pictures, the Ring Nebula picture might have been one of those Earth based astronomy pictures used to illustrate what Meier saw on his journey. However, even in the latest German edition of ‘Und sie fliegen doch’ from 2012 it is still claimed to be a genuine picture taken by Meier. 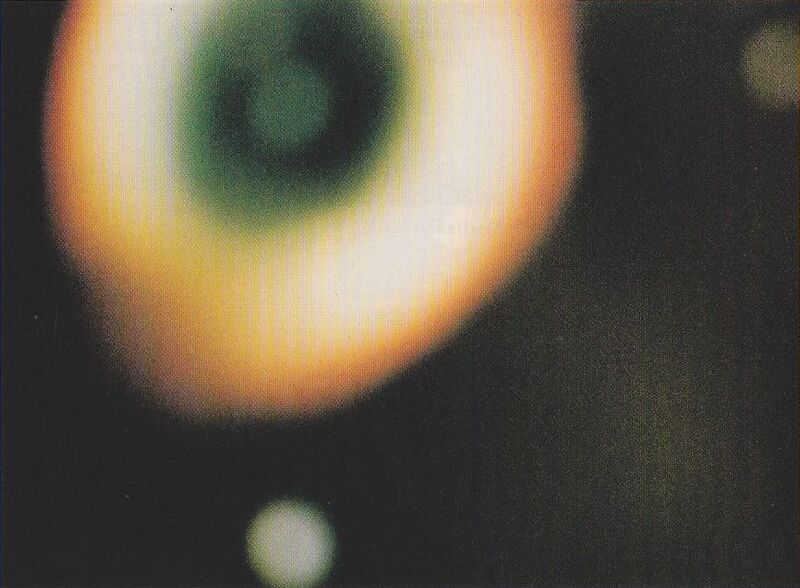 We investigated a picture of the Ring Nebula (M57), called the ‘Eye of God’ by the Plejaren, which Meier allegedly photographed during his Great Journey. When compared to an Earth based astronomy picture of the Ring Nebula, the details – shape and appearance of the nebula, the number of visible stars (four) in the frame and their locations – seen on Meier’s picture are found to be the same, which means that Meier’s picture is most likely just a blurry reproduction of an astronomy picture.